With Apple's Tuesday revision to the iMac lineup, now is the best time possible to shop for a Mac desktop. There are tons of options to choose from, and AppleInsider breaks them all down for you. The latest iMacs are not revolutionary updates. We can now readily see why they came out with a press release in March 2019 instead of taking up time alongside the new Mac mini and MacBook Air at Apple's October 2018 event. That's the thing to consider here, which model of desktop Mac is right for each of us. With these refreshed iMacs, Apple has now plugged a desktop Mac into most available price points and most possible work requirements. You may be an iMac fan and loathe to consider anything else. Or, you might be a pro user who so far as been quite right to assume it's the iMac Pro that you need. Our options have sufficiently changed now, though, that it's time both to consider the desktop Macs available, and to reconsider just what we need from them. You don't save money by buying a Mac that's wrong for you. However, price is a good way to differentiate between the Macs both because we all know our own budget and because in general, the more you pay, the more you get. That's not strictly true, as you'll see, but it's enough so that you should start by looking at the cheapest option and working up. The cheapest desktop Mac —and actually the cheapest Mac of any kind —is the Mac mini that starts at $799. If you just need a Mac to do general work on such as emailing, writing and spreadsheets, you don't have to look any further. You should, just a little, but you don't have to. What you should take a peek at before you click Buy, is the different flavors of the Mac mini. That $799 is the base model with the lowest specifications possible. For the work that you're going to do on a Mac mini, you don't need to sweat about which exact processor or speed you need. What you are going to feel more is that the base model is constrained in both RAM working memory and storage. You'll hit the storage limitation first. The base model comes with a quite tiny 128GB SSD, and you're likely to struggle with that. However, you can plug in external drives as you need them. So for the sweet spot between functionality and price, do buy some external drives, but also go for the Mac mini with 256GB SSD. That'll cost you $999 or $200 extra. Similarly, while it may take longer for you to find RAM is a problem, it is a problem. You just don't get your Mac telling you it's run out. Instead, you find the machine runs ever slower as it needs to swap data in and out of memory. If you can, go for the Mac mini with 16GB RAM. That, too, is a further $200. While you can buy your own RAM and fit it yourself, at the 16GB price point, we don't recommend it, for no other reason than convenience if you have a problem with the machine that Apple needs to examine. If you add your own RAM, the first thing that will get blamed is that RAM —and you'll need to pull it out anyway before you schlep to the Genius Bar. 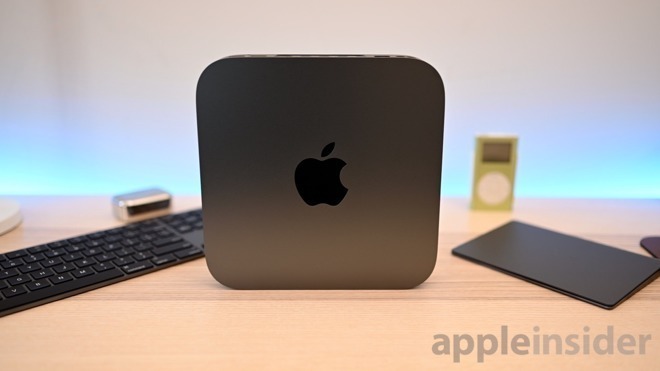 If you do both upgrades from Apple, then this $799 Mac mini has suddenly become a $1,199 one and now you're crossing over into the price of the iMac. For that price you can have an 21.5-inch iMac which has a slower processor but a 1TB hard drive plus change —and a monitor. It's like getting a free monitor with your computer and we have often said that you will struggle to find a display as good as an iMac's for anything approaching the price. Only, we have never said that about the screen on the base 21.5-inch iMac. That machine, which costs $1,099, comes with a 1920x1080 sRGB monitor and that's not a Retina display —so this is not a good buy. We just can't recommend it, as there's no value in buying a regular 21.5-inch iMac, not when you could get a better Mac mini and have $300 left over to buy a display. The same almost, and very nearly completely, applies to the iMac 4K. This does have a very good 21.5-inch display, with a 4096x2304 resolution. For $1,499, you get a vastly better display on your iMac 4K and you also get a substantially faster machine. Unless you're having to fit that iMac onto a small space on a small desk in a small office and anything else would entirely block your small window, you can do better. Specifically, you can do better with a 27-inch iMac and once you've used one of those, you'll think of the smaller one as a toy. If the entire point of comparing all desktop Macs is to find the sweet spot between price and performance, you've found it. The 27-inch iMac is extremely hard to beat and while you can make that argument because of its processor and speed specifications, it's also a compelling case because of the iMacs', well, compelling case. It does still have a chin on the front, and it is still the same case Apple's been selling iMacs in for seven years now, but it remains the best there is. That 27-inch screen is no longer the biggest you can get, but it is a 5K one with 5120x2880 pixels, and it's among the best you can buy. We really would like to see a wider screen iMac, but that's chiefly because, for all their benefits, the current ultrawide monitors available lack the iMac screen's sharpness and size. You can get much wider monitors for your Mac, but they don't tend to be as deep and you do notice that when moving from an iMac. If you can't beat the 27-inch iMac's screen, you also can't change anything about it. Whereas you can make similar choices about storage, RAM and processor speeds. 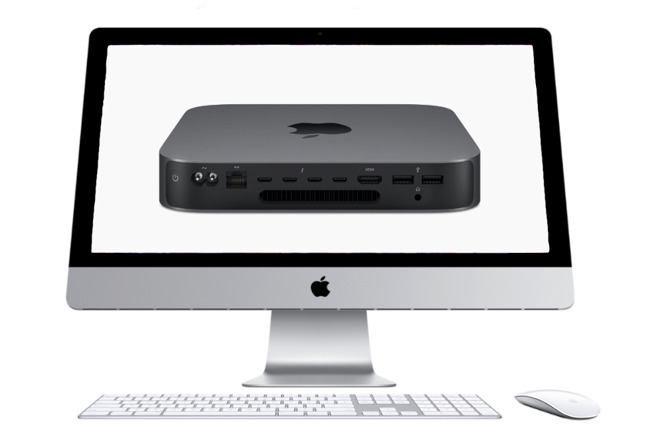 The base model costs $1,799 but it comes with the same processor as the $1,099 version of the Mac mini. To get a faster Mac, you need to start with the $1,999 model instead. Apple tries to make myriad configuration options more understandable by promoting only two or three main variants. In many cases you can take one variant and make it into the next just by ordering the right configuration upgrade, but in some, you can't. This is one of those cases. If you start on the Apple Store website by selecting the $1,799 model, you do not get the option for a faster processor. Whereas if you select the $1,999 one, you do. While there are some other differences between these models, such as the graphics, really you're paying Apple $200 more for the facility to then pay them $500 more to get a faster processor. So it's actually a $700 cost for a faster processor. If you wanted to, you could take the base 27-inch iMac and spend $3,099 on it. You could take this second level one, the model that starts at $1,999 and bring its cost up to $4,199. Both maxed-out prices would get you faster processors, more RAM and more storage. Every bit of that is useful. It just might not be that useful right now. Think about what work you're actually doing right now and then about what you think you're likely to do soon. For programming, for developing your own apps, for making music or a lot of podcasts, any 27-inch iMac will do the job —but you'll be happiest if you spend a little more on the processor and the RAM. A good spot within the range of 27-inch iMacs available is the $1,999 model with a $200 upgrade to 16GB RAM. You could instead spend $500 and get a faster Intel Core i9 processor, but even if you did that, you would need more RAM. You can buy RAM a lot cheaper by going to just about any other supplier but Apple, though, and you can upgrade the 27-inch iMac with it. 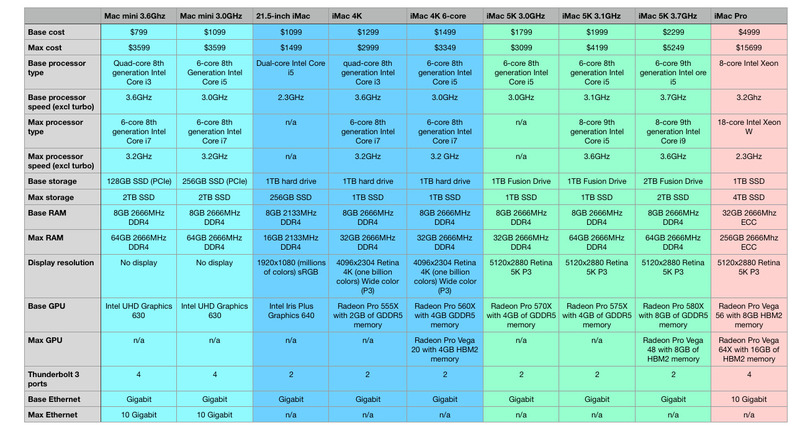 So you could buy the base 8GB RAM 27-inch iMac for $1,999 and put the RAM money toward your faster processor. This all starts to become a complicated juggling match with speed and RAM, though. The simplest way to look at it is that a 27-inch iMac is the absolute ideal desktop Mac for anyone —unless they know they don't need the display or they're certain they need an iMac Pro. Previously, this was the simplest decision of them all. If you needed an iMac Pro, then you knew it —and you also knew whether you have the budget for one or not. If you keeping having to spend time waiting for your iMac to finish your work, such as exporting video, then you would benefit from an iMac Pro. How much you'd benefit and whether it was worth the extra cost is up to you, but there would be a significant difference. Now with the updated regular iMacs, there's less of a line between these and the iMac Pro models. 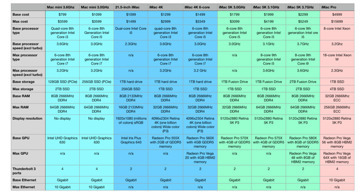 There is still a line, there is still the case that if you need the power of a 10- or 18-core Intel Xeon processor, there's no other option than the iMac Pro. Before you spend too long looking at the variations of iMac Pro, though, do also take a glance at the top of the range iMac 5K. The base iMac Pro costs $4,999 and to come close to it, you'd need to buy the $2,999 regular iMac plus a $400 upgrade to get an 8-core Intel Core i9 processor. You'd also need to add RAM, and there the iMac Pro has more capacity, but you could take the iMac to 64GB RAM for $1,000. Then you could improve the graphics on the iMac. Where the base iMac Pro has a Radeon Pro Vega 56 with 16GB of HBM2 memory, you could configure the iMac to have a Radeon Pro Vega 48 with 8GB HBM2 memory for $450. That would mean your buying a regular iMac for $4,149. When AppleInsider compared the 2018 5K 27-inch iMac to the iMac Pro, the iMac Pro didn't always win. There was one single Geekbench test where the iMac beat the iMac Pro. It's not as if that means the iMac is better, but it also isn't a fluke. The top end iMac is a very powerful machine. All of this makes it hard to decide between this top end of the iMac range and the bottom end of the iMac Pro. That's the only troublesome spot in the lineup, though. Most people will get most value from a iMac 5K, while some will need much more power and so need to get one of the higher-end iMac Pro machines. And many people will need less power so they have the Mac mini. If you're on the fence between a Mac mini and a iMac 4K, just get the Mac mini. If you're torn between the Mac mini and a iMac 5K, get the iMac. And if you need maximum power, save up for an iMac Pro. Just don't save up too long. Apple insists it's going to release a totally new Mac Pro some time this year. And it's going to be so interesting to see where that fits. Whether you wait for that or not, though, think about your needs before your budget. In an ideal world, that's all you'd do, but every one of us has budget constraints so when you've narrowed it down to a Mac mini, an iMac or an iMac Pro, also shop for the best prices with the AppleInsider Price Guide before you spend your money.